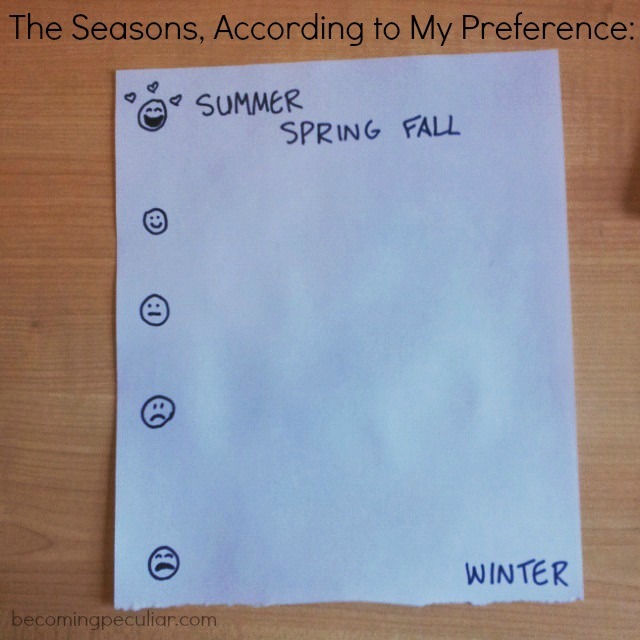 Winter is objectively the worst season by a billion percent. 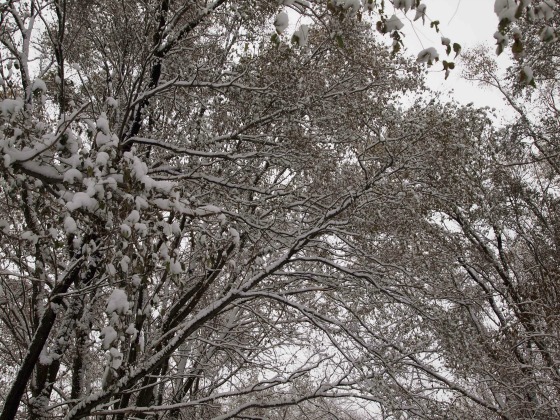 I’ve always hated winter, but this year is especially tedious because we have a child in isolation. We can’t go anywhere. We can’t go to the library or the petting zoo or a friend’s house. We can’t go to grandma’s. We can’t run to the store. We’re just inside. At home. All. The. Time. I wish I was mature enough not to complain, especially given that last winter we spent in the hospital with Felix (I should be perpetually delighted that we’re all alive and well and under the same roof) . . . but I’m just so friggin tired all the time. Felix’s habit of waking up every night for a two-hour party has expanded to twice the number two-hour parties, so now Ben and I each have to take a shift every night. So we’re both always tired. I don’t have the mental energy to be positive. Spring should hopefully bring with it sunshine, warmth, and an end to isolation. So I’m trucking along, repeating, Only two more months till spring . . . Only two more months till spring . . . In the meantime, here’s what I’ve been into. I just cannot get enough of it. It’s gorgeous. It’s comfier than any other baby carrier I’ve ever used. Felix loves it — it’s like holding him in a constant hug (while leaving my arms free.) 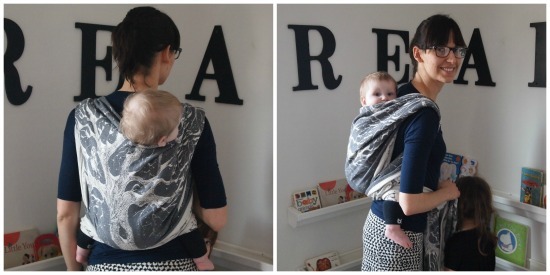 And thanks to my experience with the Moby Wrap, I had no trouble learning how to use it. Your Money or Your Life: 9 Steps to Transforming Your Relationship with Money and Achieving Financial Independence (Vicki Robin). This doesn’t sound like a very exciting book, but it’s one of the first books on money to get Ben and me excited about finances. This is not a budgeting book, telling you how to allocate your money and stick to your guns. (In others words, this is no Dave Ramsey, who just never worked for us.) It’s about developing consciousness around where exactly your money is coming and going, so that you can align your money flow with your values. It teaches you to see your work and money as “life energy,” so you can reorder material priorities. Unfortunately my enthusiasm for this book fizzled out when Ben and I realized we just don’t have the mental energy to implement these fantastic practices right now. We just need to not kill each other until spring. But eventually we’re coming back to this. I decided that if Lydia was going to be obsessed with princesses, FINE. I’m not going to fight it. 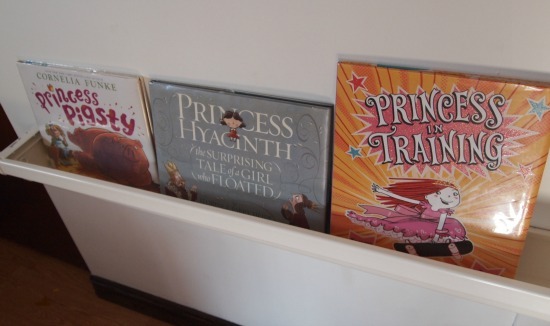 But I will try to introduce her to some decent princesses in some decent stories. (She recently informed my sister that all princesses do is stand in windows and get ready for the ball. Oh no she didn’t.) (P.S. I got a lot of ideas from this awesome post). Princess in Training (Tammi Sauer) – This one kinda feels like it was written by an angsty teenager. Princess Viola doesn’t fit in because she likes to karate chop, dive, and skateboard. (She probably also listens to emo music about how “Nobody understaaaaands me.”) So she takes princess lessons, where she struggles to do things “right.” In the end, her predilections help her to save the day when a dragon crashes the party. (How, exactly, skateboarding and diving into a fountain help defeat the dragon is beyond me.) I’m just glad the story has a plot (a rare quality in princesses stories), even if it does feel like the author is trying too hard. The illustrations are fabulous. And Lydia has already memorized it. Paperbag Princess (Robert Munsch). I loved this Munsch classic as a kid. Clever Elizabeth realizes she can outwit the dragon and doesn’t need dumb Prince Ronald after all. Princess Hyacinth (Florence Parry Heide) is about a princess who floats and who isn’t allowed out of the palace (for her safety, so she doesn’t float away). She and a local boy figure out how she can live an enjoyable life despite her unusual problem. I find the illustrations weird but the story is lively and surprising. Princess Pigsty (Cornelia Funke). I like this one more than Lydia does. Princess Isabella is tired of being a princess (it’s boring) and she would rather take care of the pigs, to the king’s dismay. It ends up being a tale of a girl’s assertiveness and a father’s enduring love. Isabella and her father both come out winners, which is pretty sweet. 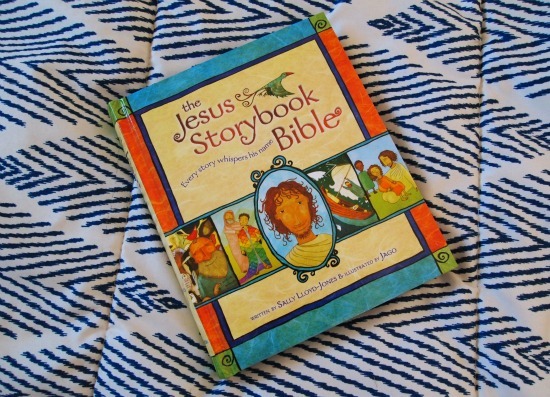 The Jesus Storybook Bible (Sally Lloyd-Jones). Finally. The Bible I’ve been looking for. It’s not perfect (the author takes a few liberties, and it’s missing some important stories), but I like how it brings the stories to life. The author really sets the scenes with purple skies and sweet-smelling breezes and laughing birds. The characters are delightfully three-dimensional, and the artwork is lovely and whimsical and kid-friendly without being juvenile or garish. It doesn’t look the other way from death but it doesn’t dwell on it, either. And Lydia loves it. She’s excited to read from the Bible every night to find out what’s going to happen next. That there is the biggest win. I’d heard many rave reviews of this book in the past, but I never thought Lydia was old enough for it. Now that she’s four, it’s perfect for her. It was everything you could possibly want it to be. I watch the show 80% for the relationship between Sherlock and John, 10% for the hilarious banter, and 10% for the actual mystery-solving. The costumes, sets, and music were perfect. It was creepy, thrilling, and full of surprises. Does anyone else just adore Mrs. Hudson? Oh, and Moriarty? Gah, I just loved everything about it. Inside Out. We finally saw this on DVD. It’s brilliant, moving, and delightful, as we’ve come to expect from Disney-Pixar. But difficult for the four-and-under crowd to understand. Lydia was totally confused and couldn’t grasp the conceit at all (The characters are personified emotions living in a little girls’ mind), though she did enjoy watching the characters’ silly antics. I definitely cried more than once. I hate to exercise and so I never do it. 1. It feels so pointless. Obviously people exercise for a reason (i.e. the goal is weight loss, increased strength and endurance, etc). But I have never derived any satisfaction out of physical exertion without an immediate purpose or goal. Like I said — if I need to get somewhere, I get a thrill out of biking there. I don’t mind “feeling the burn” while toiling in the garden. But if, at the end of the session, all I’ve done is gotten myself sweaty, I kind of feel like I’ve wasted my time. I’m a naturally thin person. (I’m sorry. *) I have no interest in losing weight. I’m happy with my body shape. So it’s hard to set achievable goals, aside from being able to do X number of reps. Which isn’t particularly inspiring to me. 2. I have two kids who don’t sleep. In spite of trying every trick on the Internet, our four-year-old doesn’t seem to need more than about nine hours of sleep. Which is exactly the same amount of sleep I need. Plus my one-year-old likes to have a two-hour play session every night around 2am. At the end of the day I just want to squeeze in a little sleep before my littlest monkey decides it’s party time. I do, however, want to take care of my body. I need it in order to care for my family. My health is important to me. I work hard to eat healthy, and I know exercise is also important to my well-being. A couple of years ago I came across some interesting articles on kettlebells. These articles claimed you could do a workout in just ten minutes a day. I created a “Maybe I Will Exercise” pin board on Pinterest, and pinned these articles to it. That pin board remained that way, untouched, for a couple of years while I sat on the idea. This year, with another winter of isolation upon me, I decided to ask for a kettlebell for Christmas and take the plunge. 1. You only need to work out about ten minutes at a time, three times a week, to see results. At least, that’s what Tim Ferriss and Wellness Mama tell me. It supposedly works as strength and cardio training in one. It’s a workout for your entire body, developing all-purpose strength and flexibility. I can fit that into my schedule! Even someone as exercise-averse as me can stand to pant and sweat for ten minutes. 2. It only requires one piece of (relatively inexpensive) equipment, which takes up almost no space. 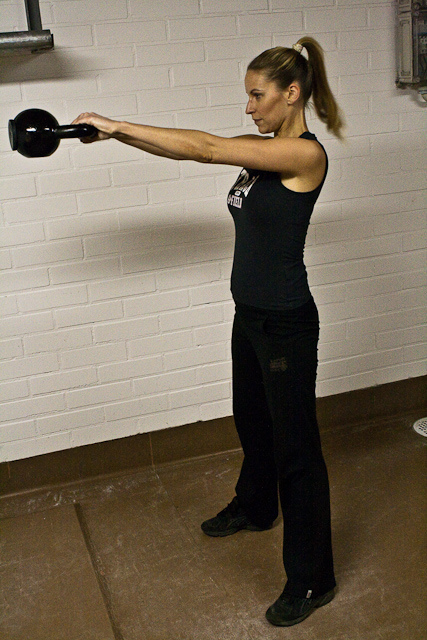 One kettlebell. That’s all you need to get started. Mine cost about $58. (You can get one at just about any sports store). And it takes up as much space as a decorative vase. I know there are workouts you can do that don’t require any equipment (like pushups, burpees, etc), but honestly, I felt like I needed something physical to remind me and motivate me to do my work. Something to hold in my hands and make me feel like an Amazon warrior princess. 3. You don’t even need to change your clothes. At least, that’s the impression I get from all the online videos I’ve seen. Everyone seems to do their kettlebell workouts in jeans. Which is what I’m always already wearing. Perfect. I don’t know why this was such a big draw to me. One less step to keep me from ever actually getting around to it. You don’t have to go anywhere, you don’t have to shower afterwards . . . all you have to do is try to find ten minutes out of your day. Granted, I’ve only been trying this for a few weeks myself. So I can’t say much from personal experience. So far, I’m only doing very short sessions, just to get the hang of it — twenty swings, followed by a ten-second rest, repeated five times. Even that is enough to turn my legs to jelly! I plan on working up to Wellness Mama’s workout in the next few weeks. But I’m enjoying the mild soreness in my legs afterward, letting me know it’s working. I love how quick it is — in just ten minutes I’m back to my old routine. It doesn’t eat up Felix’s entire nap time. Hopefully I’ll be able to update you with success news in the upcoming months! *Important Note: I totally expect to give up in the summer when I have real-life exercise happening. Can’t wait to pull my kids all over town in the bike trailer! 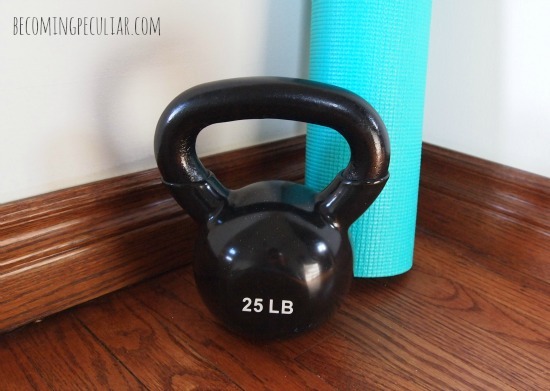 The kettlebell is just to hold me over during these awful winter months. What do you think? Do you hate exercise, too? 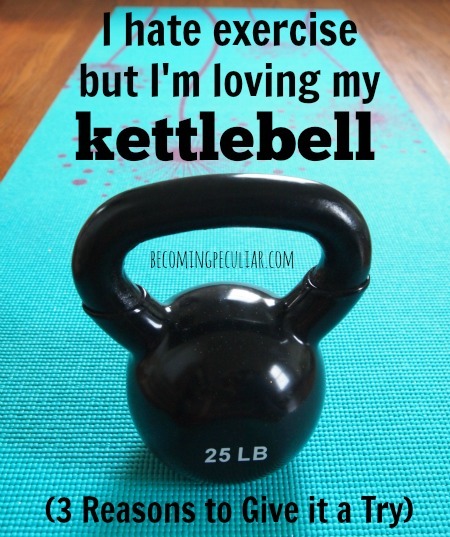 Have you tried kettlebells? What was your experience? Oh, what a wonderful Christmas we had. It was a very ordinary Christmas, but that’s exactly what made it so wonderful. We were all together, all four of us under the same roof. Here are a few things I enjoyed throughout the month. The philosophy captivates me: the assumption behind Godly Play is that all children have experiences of God; our job is to help give them the religious language to explore them. They use the Montessori method to help children acquire that language. Sounds like everything I want in spiritual education. Room For a Little One: A Christmas Tale (Martin Waddell) – This one gets an A+ for the illustrations. The gorgeous images have a luminescent quality. 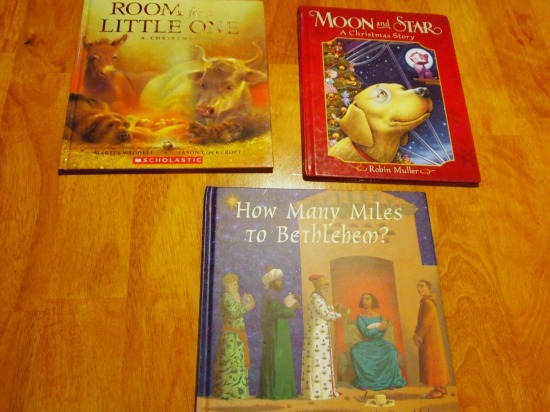 The Christmas story is told through the perspective of the animals in the stable. How Many Miles to Bethlehem? (Kevin Crossley-Holland) – The highlight in this book is the richly poetic text. Each page offers the perspective of a different party — Mary, the donkey, the shepherds, even Herod. The images evoke Renaissance artwork. The whole thing has a mysterious, sophisticated feel to it. I wouldn’t recommend it for children younger than 4 or 5, as it’s very text-heavy. Moon and Star: a Christmas Story (Robin Muller) – A completely secular but delightfully magical Christmas story about a devoted toy-shop dog. It has the feel of a modern fairy-tale or ballet. Very detailed, attractive illustrations. Lydia was obsessed with this book. It’s great for kids who love animal stories. 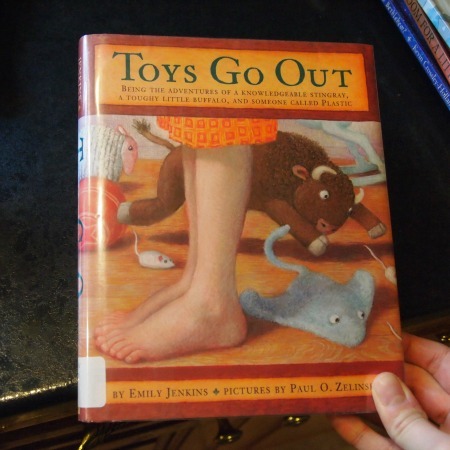 Toys Go Out: Being the Adventures of a Knowledgeable Stingray, a Toughy Little Buffalo, and Someone Called Plastic (Emily Jenkins) – This book was perfect. Lydia (aged 4) loved it so much I could use it as a motivator for her to get ready for bed (“We can find out what happens next to the toys!”). It’s lively, imaginative, and funny. The characters are memorable (you will love Lumphy, StingRay and Plastic), the plot is exciting, and the writing is excellent. I can’t wait to read the others in the series with her. I finished seasons 4, 5 and 6 of Gilmore Girls, and I’m about to start the poorly-regarded seventh season. This show is addictive and entertaining. Also: frustrating. Why is Rory so stupid with guys? Why are Lorelai and Luke so stupid with each other? We’re also still getting a kick of out Big Bang Theory and Brooklyn Nine-Nine. Movies are still a no-go in this household, since the time between 7:30 and 10:00pm with Lydia are chaos, and Felix still wakes up for two-hour parties every night so we want to get to bed as early as possible. And that’s what I’ve been into! *Disclaimer: this post contains affiliate links. Thanks for supporting Becoming Peculiar! *As always, Linking up with Leigh Kramer. As regular readers know, back in February Ben helped me have a revelation. We’d been in the hospital for over two months with our sweet Felix, who was (and is) battling a life-threatening disease, and the constant grip of anxiety was threatening to suffocate me. Worries about his future spun around my brain like a never-ending merry-go-round. There was absolutely nothing I could do to help my baby. I wanted to run away. I wanted to die. Instead, I cried. Constantly. In his room. In the cafeteria. In bed. On the phone with my mom. And one day when I was watering my cafeteria pizza with my tears, Ben suggested I take up a hobby to ease my anxiety. Hadn’t I always wanted to learn to knit or crochet? I took a free online crocheting class. Sitting on the cot in Felix’s room, armed with a size-H hook and some cotton yarn from Wal-Mart, I learned how to chain, and then how to single-crochet. My yarn got all twisted up and I didn’t know the top of my piece from the bottom, but before long there was a new piece of tangled cotton fabric dangling from my hook. I had made something! I had made my first swatch of fabric! I learned a few taller stitches and then how to crochet in the round. I learned how to make a granny square. I learned how to stitch the granny squares together to make a blanket. I had made a tiny little granny square blanket! Out of yarn! I started to frequent different yarn shops in the city, getting acquainted with different fibres. I needed new sizes of hooks for different projects. I made a simple cotton bowl and a simple scarf. It felt like magic, creating real objects out of nothing but yarn. Suddenly, I had something else to think about besides my son’s health and how much I missed my home and my daughter. I sill worried about him almost constantly, and felt pangs when I remembered how distant my old life was. But I had purpose now. Crochet helped me to hang on. I will always have a tender place in my heart for crochet. It helped me survive the trauma of our stay in the hospital. It’s kind of like meditating. Like meditation, different kinds of handiwork like crochet allow you to empty your mind. When you need to concentrate on making even stitches, there’s less room in your brain for worries and ugly mental pictures. Some people count their breaths to help them meditate. I counted stitches. And when I did that, everything else disappeared for a little while. It gave me a sense of purpose. When a loved one is going through illness, there’s often very little you can do at the bedside but wait. I had nothing to do but sit and worry. After I took up crocheting, I had projects lined up that helped me to feel productive and valuable when I felt otherwise useless and helpless. I could make a cozy blanket for my baby! I could make some storage baskets for my little girl’s treasures back home! Hadn’t I always wanted a black-and-white throw blanket for our living room? Maybe I could start crocheting infinity scarves for my friends! When I went to bed at night, instead of dwelling uselessly on the scary future (Is the procedure going to work? Is Felix going to be a part of our lives for years to come? How would I explain his death to Lydia if it came to that? ), I could think about my projects. What colour scheme did I want for my next blanket? What material should it be made from? How big should it be? When I woke up every morning, I was eager to get back to my project and finish one more stripe on that blanket or the legs of that little amigurumi creature. When I put Felix back into his crib for a nap, I could cross the room and finish up the last rounds of that bowl and get it ready for felting. It felt good to finally master a skill I’d always wanted under my belt. I could already cook, sew, and paint; now I felt like if I mastered crochet I could make just about anything. It gave me a chance to be creative. Crocheting gave me a chance to utilize the artistic side of my brain, the part that rarely gets a chance to shine when you’re taking care of babies. It was refreshing to think about colour palettes and texture and drape. I would notice colours in wall tiles and be inspired for a patchwork afghan. I would notice the delicate stitches in a woman’s sweater in the elevator and wonder what fiber it was made from and how I could achieve a similar look. I saw potential for inspiration everywhere. I felt like an artist again. It provided me with a distraction. I recently watched a TEDx talk about emotional hygiene (Guy Winch). He talks about the unhealthy psychological habit of ruminating — the mental act of replaying upsetting scenes in our minds, over and over again. As he explains, the urge to ruminate seems so important that it can quickly become a habit which eventually jeopardizes our psychological and physical health. However, studies show that even a two-minute distraction is enough to break the urge to ruminate in that moment. Given enough practice, we can break that damaging habit. I was caught up in a constant, dangerous habit of ruminating at Felix’s bedside. I needed a safe, constructive distraction. In the time it took me to add sixteen stitches to my wool treasure bowl, I was able to break through yet another urge to ruminate, repairing a bit of my psychological health. Now, I’m sure there are many different crafts that provide similar therapeutic experiences. Knitting, embroidery, needle-felting, drawing/sketching, and colouring come to mind. If I spend much more time in hospitals or similar environments I hope to spend time learning or developing some of these skills, too. One advantage of crocheting is that it requires so few materials to begin, making it portable and inexpensive. 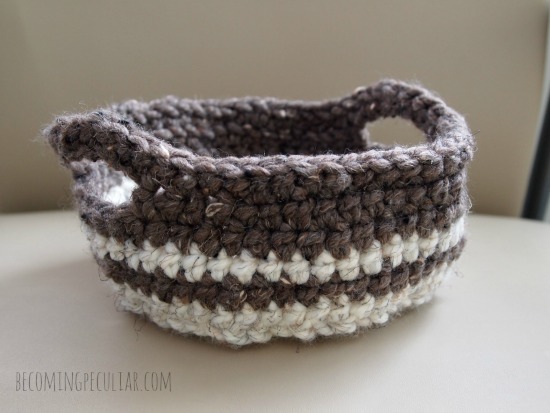 All you need is yarn and a single hook (and a hook typically costs about $2). I could pop most of my projects in my purse and take them with me if I wanted. 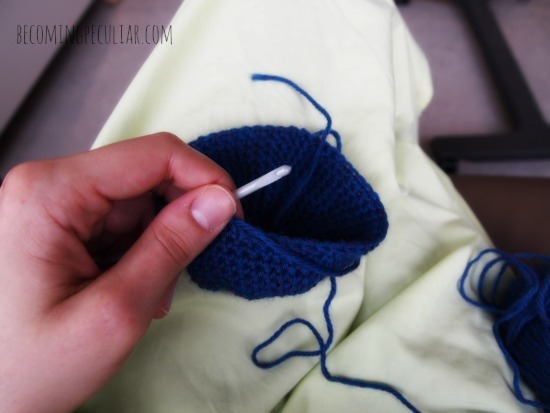 Crocheting uses a combination of creativity, repetitive movements, and problem-solving skills. All of these things kept my mind busy and honed my mental abilities in a productive way. And there is so much you can make with a few basic skills, from stuffed toys to clothing to housewares. You’re bound to land on a project that excites you. Blankets? Hats? Lace doilies? Dolls? Softies? Dish rags? The possibilities are endless. I hate that I had to go through this, but I’m grateful for the opportunity to pick up this amazing skill. I will have it now for the rest of my life. Crochet will always have a special place in my heart. Have you experienced something similar? 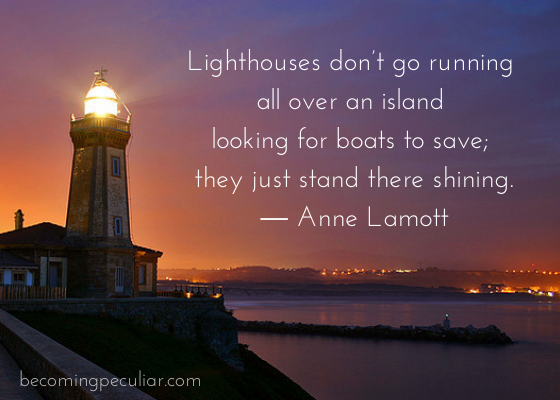 Have you found some other practice or craft that has helped you through troubling times? Do share! Turns out, I want/need more Jesus. Who knew? These last few months, as you know, have been hard, hard, hard. It’s a special kind of hell, watching your child fight for his life. Worrying about his survival. Helplessly witnessing his suffering. It’s been more than my body and soul can bear some days. I ache for peace. I long for something to give me strength during this trying time. But what? As a lifelong Christian, I understand that the answer is supposed to be “Jesus,” or something along those lines. I’ve retained the name of Christian, and in principle I’ve tried to live according to Christian teachings. Being kind to others, caring for the earth, talking about God, reading the occasional spiritual book. But I’ve also spent the last few years feeling very cynical about the Church. I’ve lost interest in the Bible, in listening to spiritual music, in praying, in attending church services. Those things all felt kind of . . . lame. I was sick of pastors guilt-tripping us to do these things. I had no real internal drive to do them. So I let them go, living essentially as a functional atheist who admires Jesus from afar. So in this time of extreme anxiety and grief I’ve been unable to find any real source of comfort. I mean, I take comfort in my husband’s presence, the love of my friends and family, etc. But I’ve longed for something a little more . . . transcendent. I want reassurance that this agony is something small and temporary within something else that is eminently good and eternal. Because it sure as hell doesn’t feel like it. I’ve been finding myself . . . wanting to listen to music with spiritual lyrics. (I don’t think I’ve really done that since I got married nine years ago.) It feels weird, to be honest. Goofy, even. Me? Christian music? Aren’t I too hip for that now? I’m starting to crave the wise words of spiritual men and women. I even want to read the Bible, the most boring and confusing of books, convinced it must have some words of comfort in there somewhere. Doesn’t Jesus talk about a peace that passes understanding and stuff like that? Eternal life? I could desperately use some eternal life right now. I’m finding myself in an awkward place these days. I really, really want Jesus. For realz. I want the Son of God. I want Eternal Life. I need the great I Am, the one who promises joy to those who mourn, strength for the weak. The one who loves the saddest, most pathetic creatures best of all. For the first time in my life I am so weak. So stupid. I have so much grief. For once in my life, I actually NEED the things that Jesus promises. 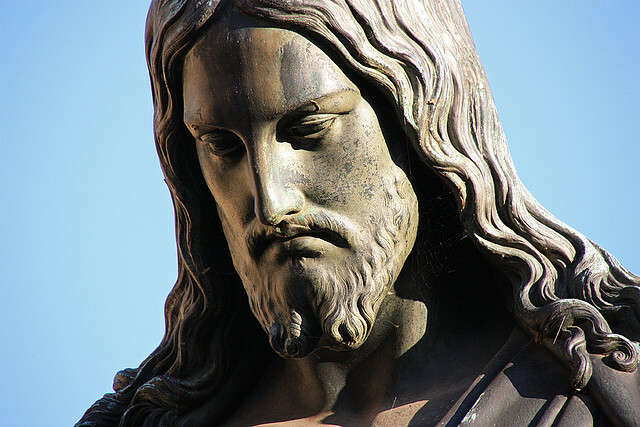 I know that Jesus’ favourite people are the most pitiful ones, the most wretched ones. For once, I’m in that camp. That’s me. Turns out, I need Jesus. Not only that, I want him. All this time as a Christian and I’ve never been here before. I’ve never been desperate for Jesus before. Why would I have been? I was perfectly happy and healthy and capable of taking care of myself. I’ve never really connected to hymns and psalms for that reason. It took suffering for me to realize how badly I need Him. So I guess some good things always come from bad ones. Image courtesy of frankenschulz via Flickr. I’ve always intuitively understood that in order to gain wisdom, you needed to suffer. So I’ve always understood that my easy, cushy life was a bit of a barrier in my vocation as a writer. I was raised by great parents, enjoy exceptionally good health, excelled in school, married a wonderful man, and am part of a loving church community. My firstborn is neurotypical, robustly healthy, and fiercely intelligent. I have not suffered a single major loss so far. What could I possibly know about Life? How could I ever have anything worthwhile to say to a hurting world if I didn’t have any wisdom to back it up? Oh well, I thought. I’d rather be ignorant and happy and have nothing of value to say than genuinely wise. I would choose an easy life over my calling as a writer any day. I mean, if God wanted to just give me wisdom, Solomon-style, I’d gladly accept it; but otherwise: no thanks. I had just sat down in front of the computer to answer emails and nurse twelve-day-old Felix. I had just gotten Lydia down for a nap. I texted Ben to tell him I was winning at parenting today. Then the phone rang. A woman from the London Hospital told me that Felix had tested positive for a life-threatening disease called SCID in his newborn screening. We needed to come in the next day for further testing. You know the rest of the story so far. And I think it is making us better people. We have learned so much about hospitals, health, and generosity. We have met amazing people and discovered just how wonderful our community is. We have learned about sacrifice and pain and risk. These last few months have taught us to be more understanding, open-minded, and sensitive to other people’s suffering. More appreciative. Humbler. Less superficial. I’d still take ignorance, health and happiness over wisdom any time. I’d give this all back — and all the lessons learned — in a heartbeat if I could. I guess that’s why we’re not given a choice. But if this is what I’ve been given, I guess it’s my job to figure out how best to use it. Maybe it will even make a writer out of me. Or at least get me going in the right direction. I wrote recently that I believe community will save the world. And I keep coming back to that. I’m believing less and less in personal salvation. Because if I am experiencing salvation, it’s through community. I’m only getting there because of you guys. If left to my own devices, my own will, I know I am doomed to hell. (“Hell,” by the way, is not necessarily a place you go after you die. But I’m not going to get into that here.) I have a weak, pitiful, petty soul – I can feel it. All I really care about is my own comfort. I don’t want to help anyone or take responsibility for anything or even seek after goodness on my own. But you guys encourage and inspire me. Your kind words, your generous offerings, your shining example turn me towards God. In different circumstances – if I’d been born to a different family at a different time and in a different cultural context – I could be a total monster. I know I would. It’s only because I’m embedded in this community that I am as nice and temperate and disciplined as I am. There is nothing essentially good about my heart or anything. It doesn’t feel totally accurate or complete, then, to say Jesus is saving me. He may be the source of all goodness, but he’s doing the saving through a multitude of people. 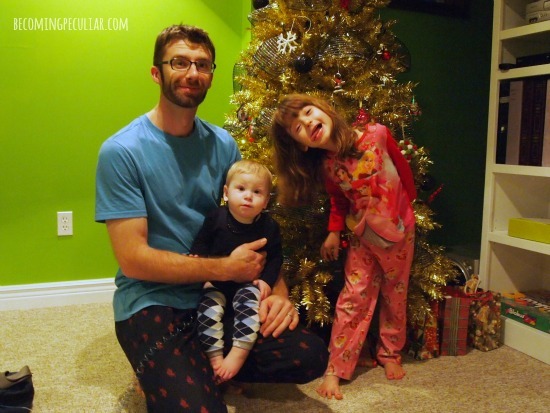 My family, my husband and kids, my friends, my blog readers. They’re all a part of it. Their collective love and support is carrying me to heaven. Sometimes I feel like together we’re a living organism on our way to heaven. You know . . . a Body. (Hey, didn’t Paul say something about that?) None of us could get there on our own. So I don’t feel right saying things like “Jesus is my personal lord and saviour.” For starters, I almost never feel like he speaks directly to me in private. I almost exclusively know him through you folks, and he only enters my heart through interactions with you (and the authors and pastors who speak to me through books and podcasts.) Jesus is our lord and saviour. We are saved collectively. And I’m not even sure everyone in this Body would agree or say it that way (I’m looking at you, my favourite atheist friend. You’re helping to save me, whether you mean to or not), but I don’t think that makes it any less true. Thank you for being the Body and for helping me to be a part of it. Q: When is it Appropriate to Share Your Faith? I was sitting in a hospital waiting room, weeping over some bad news about my ill infant son, when someone I love decided to bring up the long and narrow path versus the short and wide path, and the importance of choosing the right one. It kind of blows my mind that any human being would need to be told that this was the wrong moment to preach at another human being, but apparently it’s not that obvious to everyone in the world. Knowing that Ben and I are Bible-believing, church-attending Christians ourselves, you might be surprised to learn just how often we are actually “witnessed” to. For being the wrong kind of Christian. For attending the wrong kind of church. For reading the wrong translation of the Bible. I swear to you, it is a fairly common occurrence. If you are not a person of faith, you might be surprised to find that you are not the only one who gets preached at. And still always jarring and slightly bewildering every time it happens. Sometimes it comes from a stranger at the door in the middle of a busy afternoon. Sometimes it’s from a loved one during a carpool to an event. The one thing all of these wildly terrible acts of “witnessing” have in common is problematic timing. That and a lack of respect for our own spiritual experiences and beliefs. The thing is, Ben and I love talking theology. We appreciate having our beliefs questioned and tested in respectful dialogue. We enjoy being exposed to different ways of thinking. We would genuinely love to hear your perspective on religious matters. If you’re someone who is passionate about sharing your faith (and that’s awesome if you are – I’m so glad you’ve experienced such love and hope in your faith that you want to share it with others!) I think this is a good rule of thumb to live by: Share your faith (verbally) when someone asks about it. Otherwise, please stick to sharing your faith by your actions and attitude. Show them the love of Jesus through your generosity and kindness. Be helpful. Volunteer. Listen. Smile. Hug when appropriate. Show them the power of the cross by your courage. Stand up against meanness and injustice. Defend the weak and helpless. And when someone inevitably asks you why you do the things you do, go ahead and tell them. The timing will be right, and they’ll actually be able to hear what you’re saying. Instead of wanting to punch you in the ovaries. A few times in these last weeks, I have thought, This is the worst thing that has ever happened to me. Watching my baby suffer. Being apart from my three-year-old. Contemplating the possibility of watching my baby die in my arms. I have sobbed the deepest, most desperate tears over this situation. It can’t possibly get any worse than this. But then I remember: I have cried this hard and with this much agony and despair before. Infertility was just as hard. In fact, in some ways infertility was worse, because I felt so alone. I felt like no one could understand. 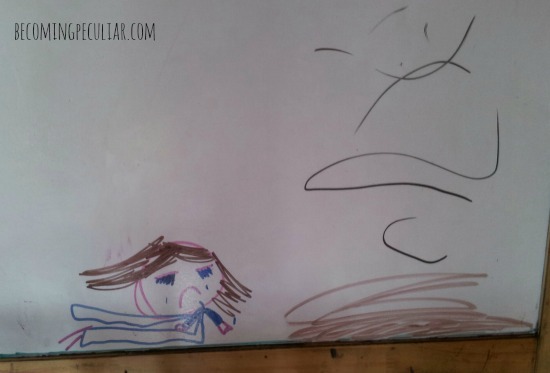 I felt like I couldn’t fully share my grief – I felt ashamed of it. Because who cries over nonexistent children? How can you really be sad over the absence of people you’ve never met? It felt preposterous. Weeping every time I got my period was too embarrassing a picture to share. But I couldn’t help feeling intense grief. But everyone can sympathize with the tragedy of a sick or dying baby. It’s universally heart-wrenching. Few things tug a human’s heart strings like a suffering child. I feel perfectly reasonable sobbing over my diseased infant son. I never felt okay sobbing over an unwanted period. I guess I bring this up in case you or someone you love is dealing with infertility, and are tempted (like me) to feel like you’re overreacting or that your problem isn’t as heart-crushing as mine. In my eyes, it totally is. I also bring this up as a form of healing for my past self. I was justified in being that sad. I understand that now. It’s okay, younger self. Infertility really is that heartbreaking. Your tears are completely appropriate. Only in retrospect does pain have any meaning or value, I think. I never would have believed it while I was in the depths of agony, though. I never would have believed that any good could come from that suffering. Just like I don’t believe now that this pain will be worth it. But maybe someday I will again.